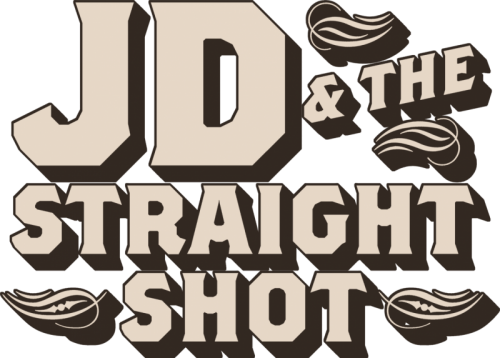 JD & The Straight Shot are a country roots and blues rock band who are wonderfully unique. With six albums under their belt the band get stronger and stronger per album. 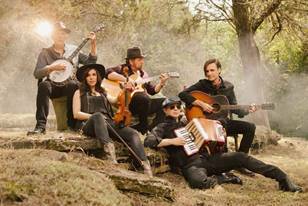 They recently released their newest album Good Luck and Good Night which boasts an impressive collection of fully acoustic material, something the band are known for, proud of and dang good at. Hi, how are you today – what have you been up to this week? Erin – We just got here a few days ago; we played one show with The Doobie Brothers. Mark – And taking in the local cuisine! So, for those unfamiliar with you – could you please introduce yourselves; what you do in the band? I am Mark Copley and I guess I am the musical director- and I also play the guitar and sing. I am Erin Slaver and I am the fiddle player- and also sing. I am JD – Jim Dolan – and I am the lead singer. 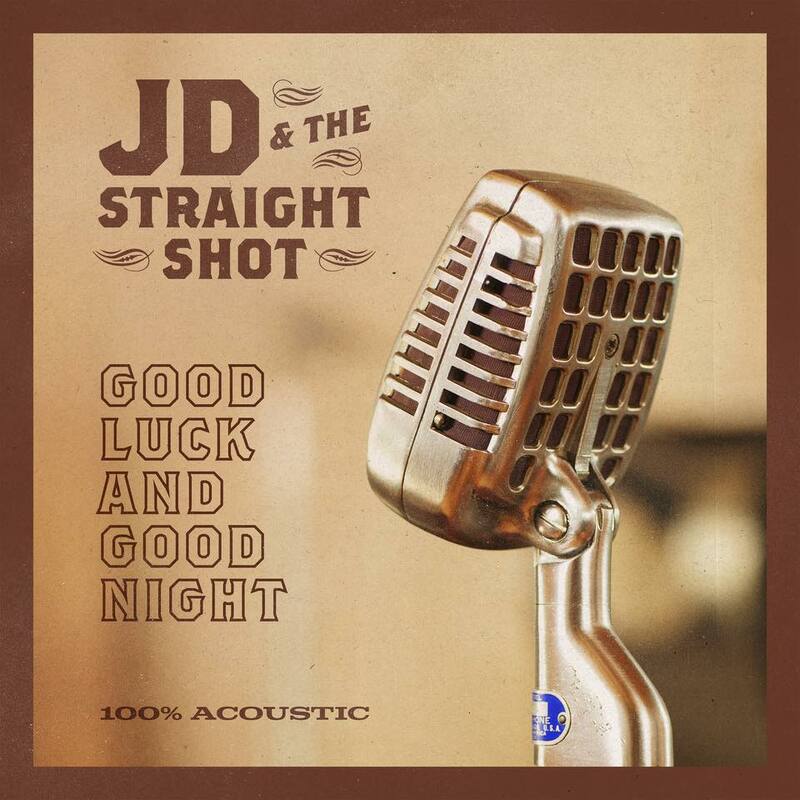 How would you describe JD and The Straight Shot? Mark – I would say that it is 100% acoustic – we don’t have any electric instruments. 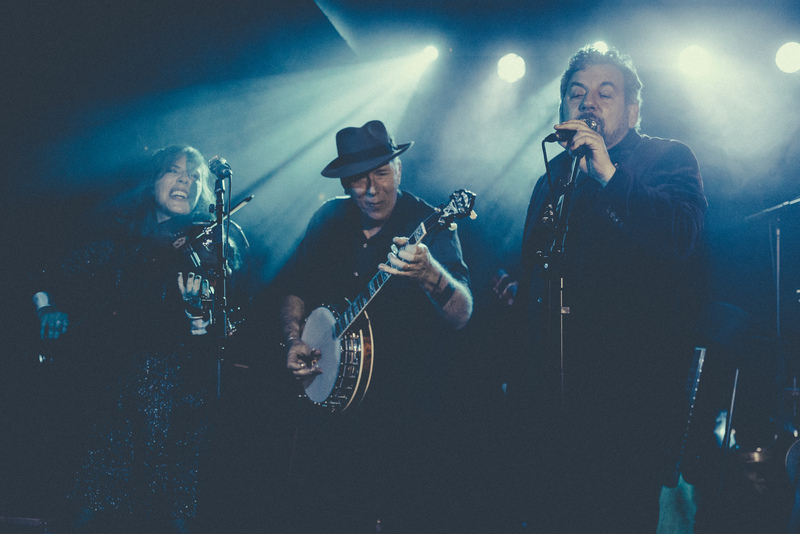 It’s a mix between American roots music, Bluegrass, Blues, Rock and Roll and early Sixties music – so it’s a mix of all those great acoustic styles. Jim – Have you heard our music? Yes, I have – I have just been listening to Good Luck And Good Night and I am really enjoying it. You released Good Luck And Good Night last month – how has life been since the release? Jim –It’s been great. The record has been very well received everywhere we have been and well reviewed in the U.S., with some reviews being astoundingly good. People are finding it to be fresh and slightly different to what they are used to hearing. Of course, it has a lot of Americana and Roots in it, but it has a lot of other influences you can clearly hear in the record. People seem to love it, and we are very happy with it. This is your sixth studio album, I believe? How has your sound and style changed since the first one? Jim – Yes, it is. The record before this was called Ballyhoo, which was also all acoustic, but the record before that was a bit of a transition record. We were coming from a more electronic, New Orleans bluesy sound before that, so this is almost the third in the series of evolution from electric to acoustic- and we are quite happy with it. Tell us about the song the Ballad Of Jacob Marley. We know the story behind the song, but what made you decide to write about that particular Dickens tale? Erin – Oh, well – I came up with the concept, which is why I am answering this question. There are a lot of sad things going on in the world, a lot of unnecessary hatred, so I wanted to write something about people who are stuck in their own chains; people who are making their lives terrible for themselves. So we said. ‘Oh, like a novel; like Jacob Marley, haha!’ and then it became fun, haha! Throw in a Christmas story with some bluegrass arrangements, and you have a really interesting track. It really is interesting and it actually made me think of the story in a way I had never really thought of before. Much like you say in the lyrics, Scrooge was able to atone, but of course, Marley never got that chance; quite sad when you think about it. Jim –Yes, that is one of the twisty things about the song, as everybody writes about Scrooge, right? But nobody ever wrote about his partner, and his partner had been dead seven years before the story starts. Erin –Like you said, it is too late for him and the music is sort of Devil Went Down To Georgia – it has that fiery sound. Tell us a bit about the two covers on the album and why you chose them? Jim –We always put one cover on every album – this time we had picked Shambala. We had listened to the Three Dog Night version and loved the harmonies and all the vocals that they did on that track; we thought that we could do it justice and so that became our choice. Then of course Glen Fry was a very close friend of ours from The Eagles and we really wanted to do something in his memory on this record, so we searched through his catalogue of songs and we came up with this one. It is an interesting song, because Glen wrote it a long time ago, long before he was ever sick, and it is about someone who is leaving, so it seemed appropriate. We talked to his widow and asked her if she would mind, and she said “Great, do it”, so we put it on our record. I assume she has heard your version now? Jim – Yes, she likes it. So you are in the UK now? You played a date in York with the Doobie Brothers – how was that? Jim –This is probably about the tenth or eleventh time we have opened up for the Doobies now, and it was an interesting audience. They started off a little quiet, maybe even slightly skeptical, but about half way through the set I think we won them over and they were clapping at the end, so it was really a lot of fun for us. We love it when we get a challenge like that; it inspires us to show the audience our best stuff and I think they got it. Then you don’t have a show until your album launch on Monday. What are you up to between them? Down time or promo time – or both? Jim – Let’s see – probably frequenting some of your finest pubs! Jim – Or actually, we are going to get in some culture and visit places such as The Tower of London and maybe we can all get into a trip on the Thames and hit a museum or two. I like to go to the Tate Modern a lot – that’s kind of usually my hang when I am here. You will probably do more in London in one weekend than I have my whole life in London, haha! Jim – That’s the way it works, that’s the way it works. How do the UK and US audiences differ? Jim – Ah, that’s a good question – who wants to take that one? Mark – It is so interesting, because I don’t actually know how different they are. If we are going to compare, I guess we could say that the York audience were a little more reserved, but that was part of the deal with The Doobie Brothers; it is an older audience and stuff like that. I always find audiences in the UK to be really enthusiastic and they really love the music. It is such a musical tradition here, both acoustic and rock and roll, that you guys really know what’s going on. Some of your songs have been used in movies right? Which ones? Jim – We have had a bunch of songs in August: Osage County, Lawless, Jane Got A Gun, Butter and I Don’t Know How She Does It. What is your favourite thing about touring in the UK – and Europe, as you are all over Europe, too? Jim – I just love that the audiences are different here; they are attentive, they are listeners, they appreciate the music- but you really get a sense that they are paying attention instead of having a party. What are your future plans? What are you planning next year? Jim – We are actually planning on coming back to the UK. Jim –We are waiting for a schedule, but we will likely go out again with the Doobies. We have been playing with Chicago a bunch too, so when we get back to the US we will immediately do a show in New York City at The Cutting Room, and then later in the year we will likely start another album. Thank you so much for chatting today and have a wonderful trip. We can’t wait for you to come back soon.